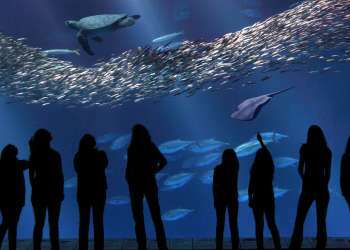 : a pair that fits so perfectly together, especially when you are in Monterey County. 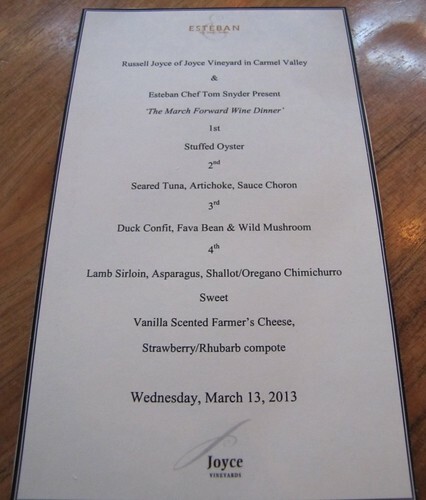 The creations of Russell Joyce of Joyce Vineyards and Tom Snyder of Esteban Restaurant are a pair that work seamlessly together. When I heard these two emerging stars in the food and wine scene would be collaborating on a special five-course menu I knew I had to be a part of the tantalizing evening. 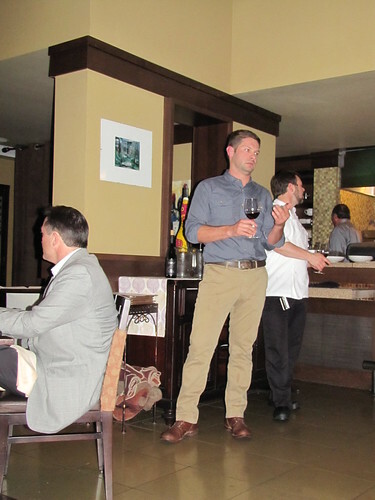 The “March Forward Wine Dinner” took place on Tom Snyder’s home turf, Esteban at Casa Munras hotel in downtown Monterey on March 13th. Esteban’s entire dining room had been taken over by an abundance of candlelight, an extensive set of silverware and lots crystal clear wine glasses. 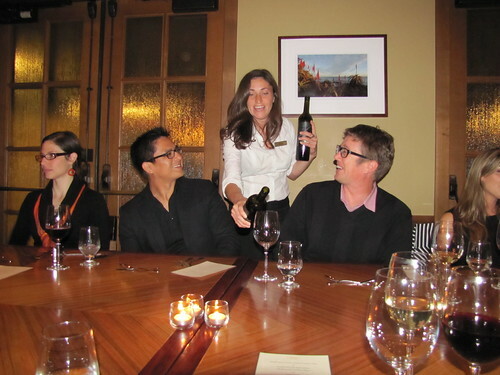 The mood was intimate yet full of jubilee and excitement for the upcoming pairings. New friends were being made at the family-style tables while light conversations took place about which dishes were most anticipated. 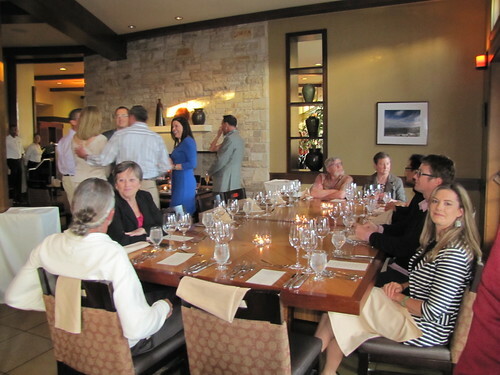 The table could not stop salivating over the presented menu using local ingredients. Russel Joyce’s first wine of the evening was a Joyce Chardonnay. The delicate and tropical flavors of the white wine were the perfect way to begin the evening before the first course arrived. Chef Snyder’s stuffed oysters soon arrived which were filled to their shell brim oozing with something that smelt better than grandma’s Thanksgiving stuffing. 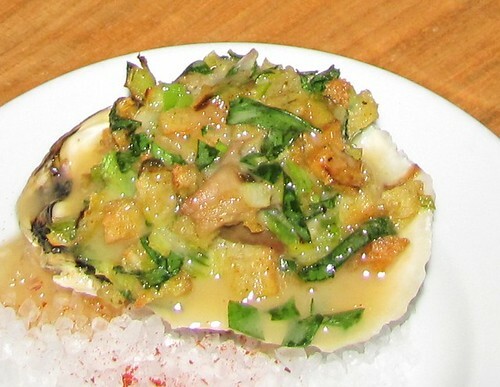 A savory combination of breadcrumbs and leeks were mixed with fresh pieces of oyster. The sea salt scattered on the bottom of plate was a nice touch to the seafood presentation. It was now time to move onto a selection of red wines for the next three courses. The Pinot Noir was expectantly much stronger than the Chardonnay and carried a spicy aftertaste; the perfect wine to pair with the upcoming tuna dish. 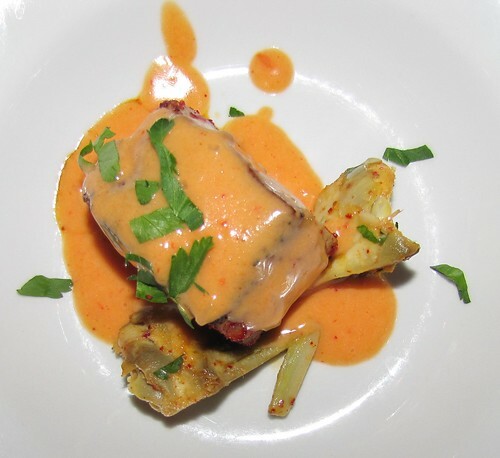 Seared tuna and slices of local artichokes came served with a generous amount of ‘sauce choron.’ The tuna was extremely moist and would have been extraordinary all on it’s own but the creamy tomato-based hollandaise sauce came bursting with smoky and cheesy flavors that made this dish irresistible! I wanted to lick my plate clean but since we were only on glass number two I thought it might be frowned upon. The third glass of wine was poured, this time a Santa Lucia Highland Merlot. A perfume of blackberry was evident before the first sip. 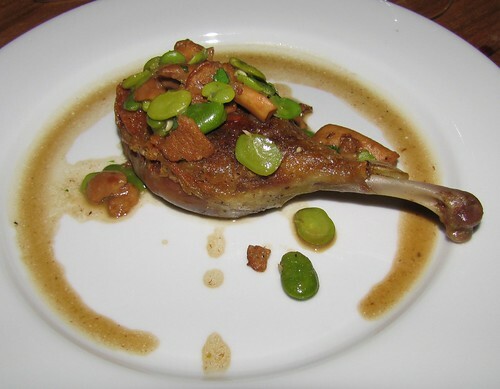 The palatable wine was paired with duck confit which was served with fava beans and wild mushrooms. The duck’s crispy shell held the juicy meaty contents in tact before falling off the bone. The acid from the accompanied lemon juice paired nicely with the tannins from the tangy Merlot. Syrah rounded out the red wines for the evening and encompassed a blackberry aroma similar to the Merlot with a subtle hint of a leather scent. The dark red vino clearly possessed the highest alcohol content as thin long legs ran down the glass and the pleasing burn opened up my sinuses. You could smell the next dish enter the room before it was even placed on the table. Fragrances of freshly picked oregano and browned garlic filled the air. 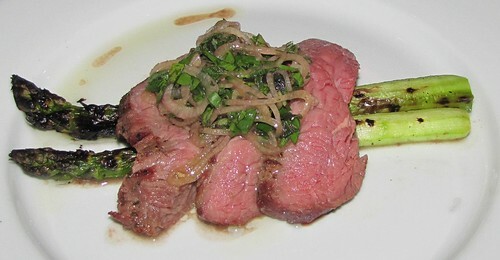 Lamb sirloin was presented atop spears of shaved asparagus with sautéed oregano and shallots serving as the dressing. The lamb itself had hints of rosemary, garlic and sherry vinegar but the flavor really laid in the simple oregano and shallot chimichurro sauce. Last but not least, the ‘sweet’ course was upon us. 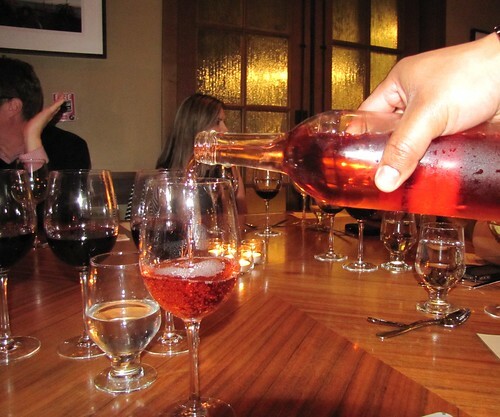 The chef’s personal favorite Joyce wine, the Rosé, was presented in an unlabeled bottle since it has not yet been released to the public. The blush-hued nectar tasted like liquid from the grape gods. It had a similar zing to Riesling, sweet and refreshing, the kind of stuff that could easily get you into trouble; maybe there’s a reason it’s not yet on the market. 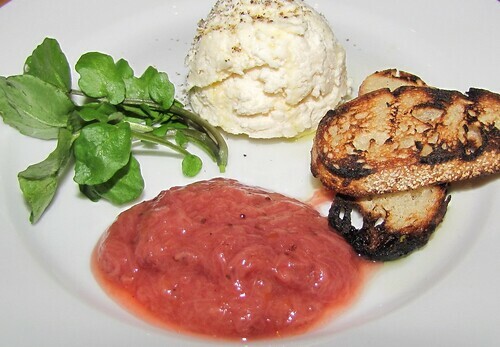 Chef Snyder chose a farmer’s cheese and strawberry rhubarb compote to finish out the five-course meal. Freshly made cheese, from the chef himself, had a texture similar to ricotta which spread nicely on bits of toast. The sweet strawberry rhubarb topping rounded out the variety of textures, soft, crunchy and juicy. This elegant take on cream cheese and jam was a refreshing way to cap off a night bursting with flavor, conversation and new friends. The three hour five-course meal seemed to fly by! 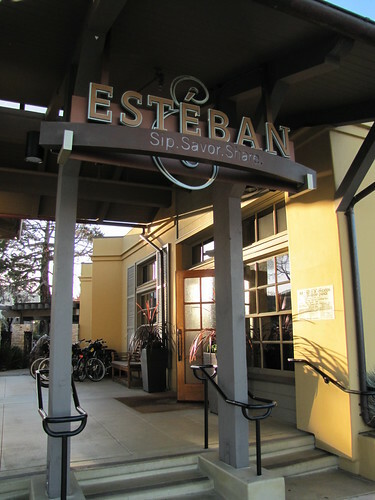 Keep your eye out for the next wine dinner as Esteban’s as they plan on running a quarterly wine dinner series. Don&apos;t want to wait that long? 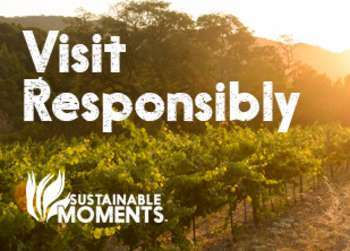 Check out their fantastic Happy Hour!